It was not an expected setting in which Neil Armstrong found himself when giving his final interview earlier this year. But perhaps that was appropriate, given his achievements. In May, the Certified Practicing Accountants of Australia secured almost an hour of the former astronaut’s time to discuss his 1969 expedition to the moon. Chief executive Alex Malley masterminded the scoop by appealing to Armstrong’s family background – his father Stephen worked as an auditor for the Ohio state government. 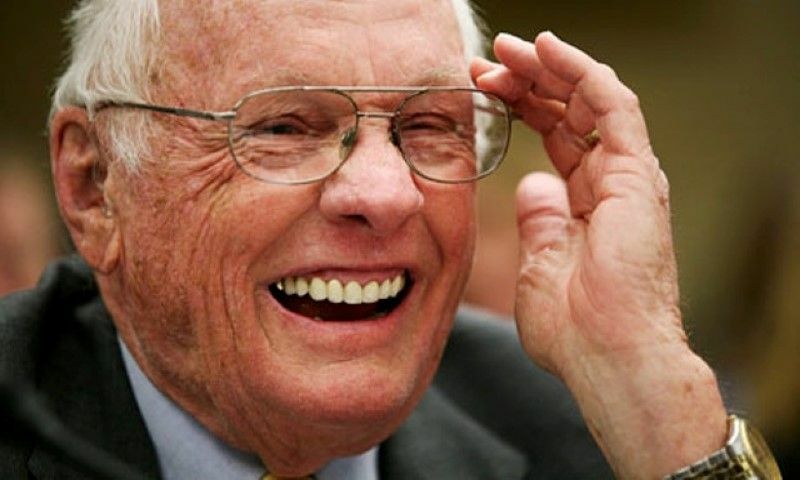 Armstrong, who rarely gave interviews, regaled his audience with news of how he thought Apollo 11, which carried him, Buzz Aldrin and Michael Collins to the moon, only had a “50-50 chance” of landing safely on its surface and a 90% chance of returning home. He said it was “sad” that the current US government’s ambitions for Nasa were so reduced compared with the achievements of the 1960s. Armstrong had opened up about his parents, his boyhood fascination with flight and his experiences of flying fighter planes in the Korean war. He also expressed a sense of fate about his work as a test pilot and astronaut, refusing to worry about future tasks because he thought something would go wrong first and he’d be otherwise engaged firing the ejection seat or scrambling to repair a valve. Armstrong remembered the moment when he got the call to ask him if the rest of the crew of Apollo 11 were ready to land on the moon. He described the crew’s harrowing 12-minute descent to the moon, when he realised that the Eagle lunar module’s auto-pilot was preparing to land the crew on the slope of a huge moon crater. “The computer showed us where it intended to land, and it was a very bad location, on the side of a large crater about 100-150m in diameter with very steep slopes covered with very large boulders – not a good place to land at all,” he said. Armstrong took over the craft manually and managed to land it like a helicopter in a smoother area to the west with just 20 seconds of fuel left. As for “that’s one small step for [a] man, one giant leap for mankind,” Armstrong says he didn’t think of those words until after they’d landed safely. Armstrong even had time to respond to the conspiracy theorists’ favourite question: Was the moon landing faked?